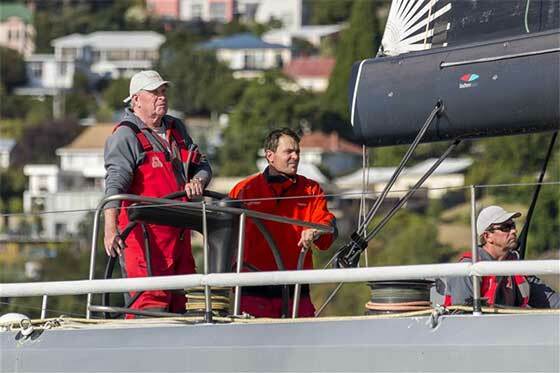 As dawn broke, Syd Fisher’s Ragamuffin 100 trailed the American speedster Rambler 88, with both less than ten nautical miles to race up the Derwent River to the finish line in Hobart. The boats traded gybes in extremely light air conditions, each tactical call critical as the navigators and tacticians sought to eek out the advantage they needed to claim second place in the 71st Rolex Sydney Hobart Yacht Race. Just four hundred metres from the finish, Rambler 88 tactician Brad Butterworth made the call to gybe in towards shore and Ragamuffin 100 elected not to follow, continuing on starboard gybe. The Australian maxi then sailed into a hole slowing considerably, and Rambler 88’s inshore call seemed promising. But shortly after a light northerly breeze filled in and reached Ragamuffin100 first, allowing it to pull ahead of George David’s silver maxi, and cross the line just over four minutes ahead. Providing an exciting turn of events for the Australian home crowd who were out in the thousands to watch the yachts finish. It was a great end for Ragamuffin 100’s owner, iconic sailing legend Syd Fisher, competing in his 47th Rolex Sydney Hobart Race and who, at 88 years, is the oldest person to ever compete in the race. For Rambler 88 the severe conditions weren’t the real challenge, it was the light stuff that ultimately tripped them up. Dockside, owner/skipper George David recalled, “Yesterday morning we were in the hunt to win the race. We got through all the bad stuff, with effectively no damage, though we did damage both dagger boards. The boat held together extremely well in harsh conditions, and we were pleased with that. “Everything’s great, then all of a sudden the blower shuts off…no wind. At one point we were 60 miles ahead of Ragamuffin and we watched them kind of compress and we sat there with no wind for a long time.” That said, David seemed to revel in the boat and his crew’s performance and was quick to concur that Rambler 88 might make a return appearance in Sydney. 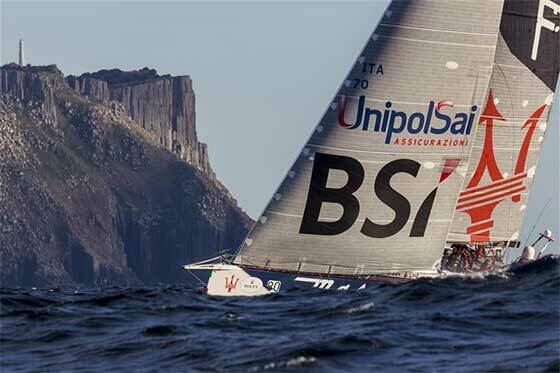 Best known for his single-handed sailing prowess, Italian Giovanni Soldini on the 70-footer Maserati, seemed to easily adapt to racing with a full crew onboard, one of whom included Pierre Casiraghi from the royal family of Monaco. Another close finish brought Rupert Henry’s Chinese Whisper, and Matt Allen’s Ichi Ban, across the line within eleven minutes of each other. 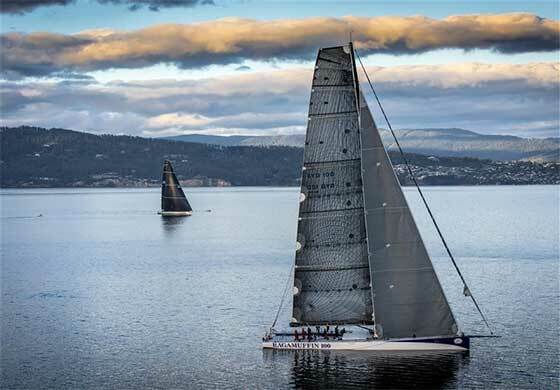 For the remaining 70 boats yet to finish, it will require both tactics and a bit of luck, with the forecast calling for the wind to lighten considerably overnight – which should give an advantage to any boats that can get to Hobart tonight. Meanwhile, the suspense continues as friends and fans await the next arrivals.